When current literature is reviewed, it is found that factors that in uence renal function after partial nephrectomy, are multifactorial. Those are divided into pre-surgical factors, such as hypertension, diabetes mellitus, urolithiasis, obesity, metabolic syndrome among others; intra-surgical factors, like the surgical technique used, the remaining healthy tissue, the experience of the surgeon, the time and type of ischemia among others. "Sparing most of the nephrons without compromising the oncological outcome has played an important role in the kidney malignancies management." Said Dr. Giovanni Cacciamani from the Department of Urology at the University of Verona in Verona, Italy. On the other hand, urological diseases, which can also affect patients baseline renal function, are represented by kidney stones, urinary tract infection, vesicoureteral re ux, and neurogenic bladder. The surgical factors that tend to affect outcomes the most are time, type of ischemia, the surgical technique used, the complexity of the case, and the amount of parenchyma preserved. However, a period of 20-30 minutes has been proposed as the safest ischemia time to avoid irreversible renal parenchymal damage. The amount of healthy remaining kidney tissue post-PN is now considered to be the most important factor for future renal function. 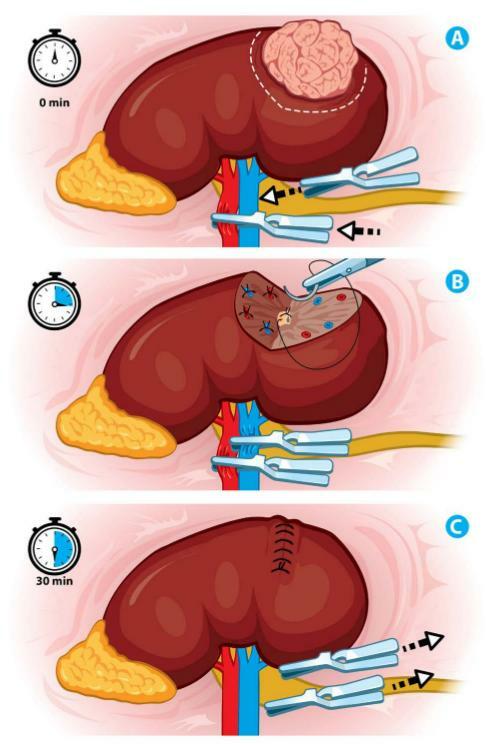 Although there are no recommendations for the amount of the healthy kidney tissue that must be conserved, before making the decision of undertaking a radical nephrectomy, we can say that the higher the remaining healthy tissue, the better the outcome for further renal function, and longer intervals of time before chronic kidney disease ensues; that will require renal replacement therapy in the future. According to this research team "Minimally invasive surgery appears to offer broader therapeutic scope for the renal masses without compromising oncological outcomes in proper hands"